This year at CES, a US-based startup called Fasetto is showing off Link – an ultraportable SSD external drive that’s small enough to fit into a jeans pocket. Available in three sizes – 256GB, 512GB, and 2TB – the Link uses Wi-Fi to wirelessly connect with smartphones, tablets, laptops, and other supported gadgets. Measuring 2 inch x 2 inch, the device weighs a little over 100 grams. It is MIL-STD 810G certified for ruggedness and an IP68 certification for water resistance. The Link comes with supporting software that lets you access your files and even seamlessly backs up content from your computing devices. You can even grant permission for guests to view specific content inside the Link. Using dual-band 802.11ac Wi-Fi, it can connect up to 30 devices at once, and a whopping 15 devices can stream content together. The company’s official website has a video where it is shown that Link can wirelessly back up photos from a DSLR cameras in real time, although the specifics of how that actually works is not explicitly mentioned. The internal battery can supposedly power the device for up to 5 hours of streaming on connected devices. Using a separately sold magnetically attachable external battery, it can go on for up to 8 hours. A USB Type-C port at the back claims quick charging, but is said to juice up the 1300mAh battery inside in 75 minutes (which is not really that fast considering smartphones with far bigger batteries charge in about the same time). Speaking of other accessories, there’s also one that makes the Link connect to 4G networks. The Link starts at $349 (roughly Rs. 23,700) for the 256GB version, $499 (roughly Rs. 34,000) for the 512GB one, and a pricey $1,149 (roughly Rs. 78,000) for the 2TB version. It’s available for preorder on Fasetto’s website and the shipping date is estimated to be April 2017. 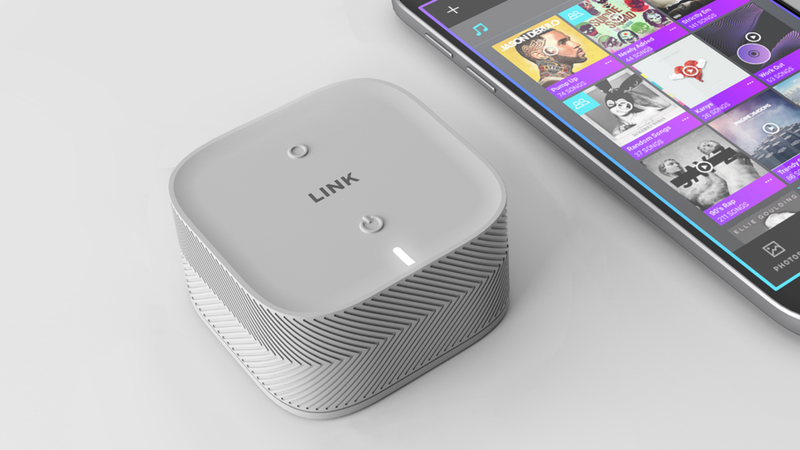 Although Link is a nicely packaged concept, it essentially is a wireless external drive. You can check out some more traditional hard-drive based products we’ve reviewed in the past, if you’re interested.